Enjoy exciting air hockey action anytime, anywhere with this fun 5-piece Portable Tabletop Air Hockey Game Set featuring a battery operated puck that hovers over the game surface. The two player game is ideal for home, office, parties, picnics or anywhere you can find a table. 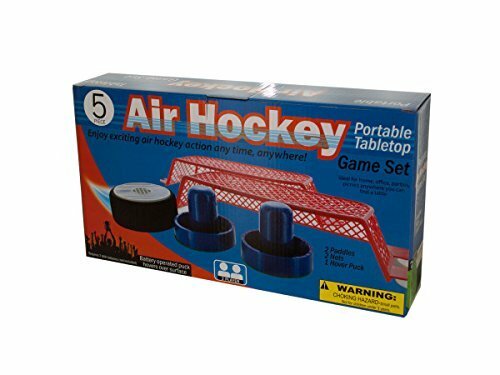 Set includes 2 paddles, 2 nets and 1 hover puck with a non-scratch felt surface. Requires 2 'AAA' batteries (not included). Comes packaged in an individual box. 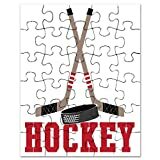 CafePress - Hockey - Jigsaw Puzzle, 30 pcs.